If you’ve ever searched for a gaming headset, you probably know who Turtle Beach is. Along with Astro, Turtle Beach is one of the most well-respected names out there because of the quality of products it brings to the market. With the ever-expanding area of competitive gaming continuing to explode, Turtle Beach decided to give gamers an option. The new Elite Pro headset for Xbox One, PS4, and PC is a simple formula: pro-gamer gear at consumer level prices. The first thing you’ll notice when taking the Elite Pro headset out of the box is how solid it feels. It feels like a product that’s been well made with strong materials that will last forever. 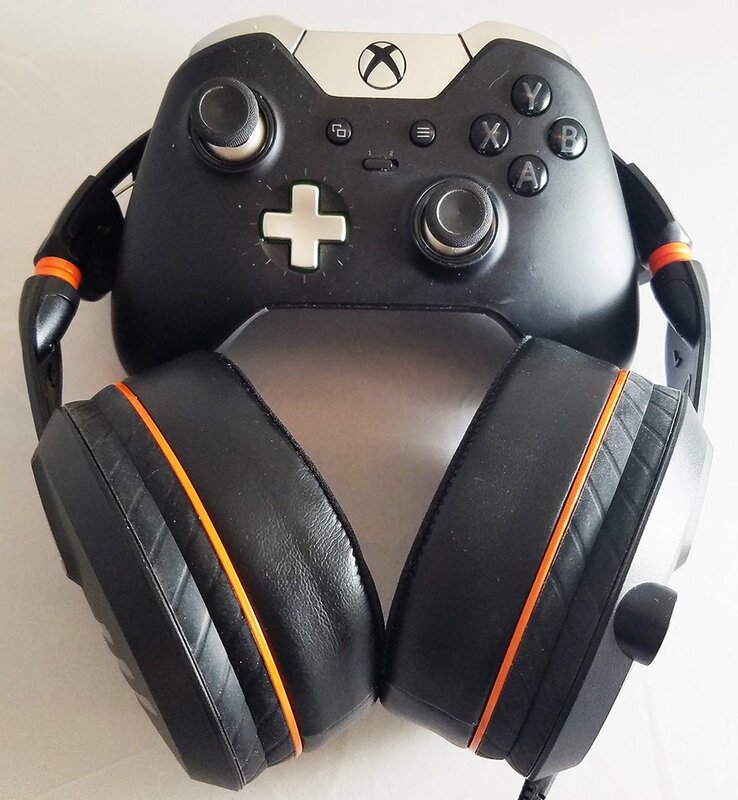 But, what may throw you off is how light the headset is. Turtle Beach rebuilt this headset from the ground up to ensure that it was light enough for long gaming sessions. I normally wear the headset while I’m at my computer for either gaming or writing and these periods can last upwards of eight hours with only small breaks. I honestly sometimes forget I even have a headset on because it’s so light. 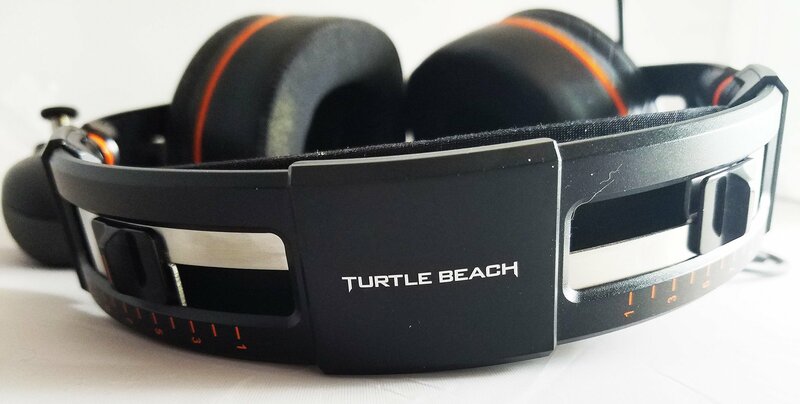 The earcups were also a huge area of focus for Turtle Beach with the Elite Pro. The 50mm “nanoclear” speakers sit behind earcups made of spandex, leather, and gel infused memory foam. I honestly can’t believe how comfortable they are on my ears. The soft materials don’t irritate my skin even though they extend past my ears and sit on top of my beard which is an issue I’ve had with multiple headsets in the past. Turtle Beach really tried to make sure that your ears wouldn’t sweat with these on and, for the most part, it does a good job but near hour three or four, I do get a bit of moisture going on. It’s just natural for your body to do that and even though Turtle Beach does admirably, its fighting nature. 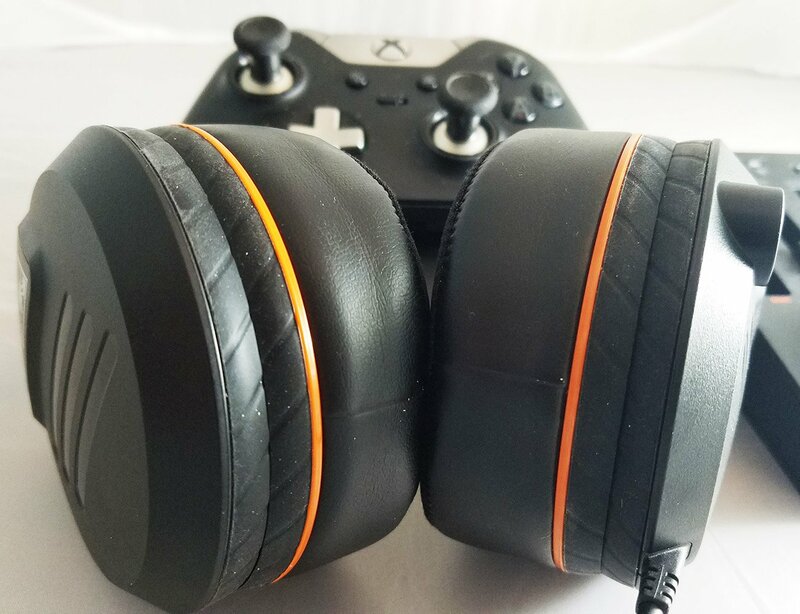 Of special note on the ear cups is the “ProSpecs” system which is just an indent into the cups so those of you with glasses can wear them comfortably with the headset. It’s not immediately clear where this mark is just by looking at the headset, but once you slip on your glasses you’ll find a little notch cut out in the foam. I tested this out with my sunglasses to positive results. Even though there is a slight notch in the foam, the cups still maintain solid suction to your head so ambient noise isn’t getting in. The ability to wear glasses and your headset comfortably is something that will please many players with less than perfect sight. Turtle Beach did excellently here. Turtle Beach also added in a tension adjustment system to the top of the headset. The top bar can be adjusted to as tight or as loose as you would like it to be. This is great in combination with the standard height adjuster you find on the sides of the Elite Pro. I’ve dealt with headsets in the past that squeeze my head or just fall off because I can’t get the tension right. This allows a perfect fit. 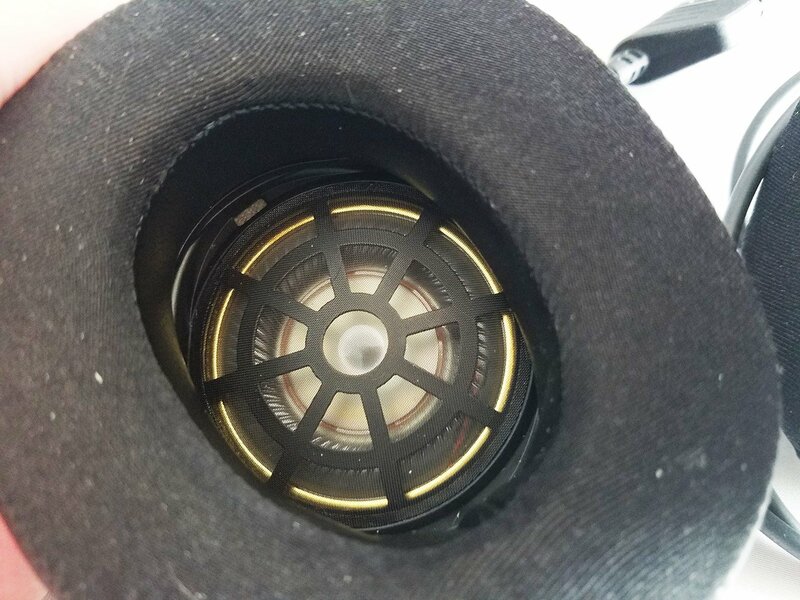 I do appreciate that the tension adjusters don’t slip out of place while you’re using the headset, but they can be a bit hard to adjust unless you actually take the headset off. Perhaps a notch system in a later revision of the headset would be welcome, but the tension system is still a huge positive. The T.A.C. or Tactical Audio Controller is an optional accessory to the Elite Pro headset that will take your ability to control exactly what goes into and what comes out of your headset to another level. There are sliders for a game/chat mix, a background noise limiter, an outbound mic boost and a mic monitor level. 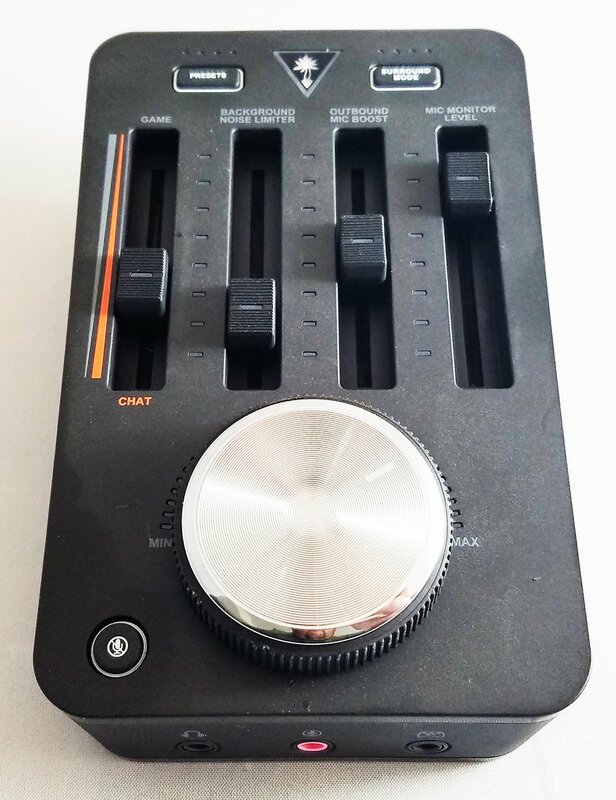 Let’s take a look at what each of these sliders control. The game/chat slider lets you favor members of your party or game sounds. If you’re playing with someone who’s mic just isn’t great or who sits far away from the audio source, this is wonderful to have because you can adjust exactly how loud that person is going to be in your ear relative to game sounds. If their audio is low, favor the chat on the mixer and turn up the overall sound. It’s perfect and I adjust it all the time based on who I’m playing with. The background noise limiter is perfect for those of us with kids. My daughter likes to run around screaming and that’s not necessarily what my teammates want to hear while we’re raiding. 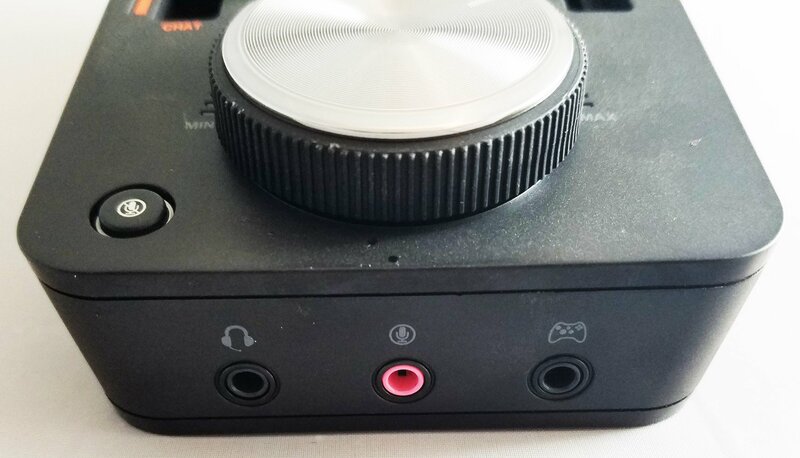 Rather than mute my mic completely, I can adjust the sensitivity of the noise gate with this slider so that it only allows my voice to go through. Very handy. The outbound mic boost is fairly self-explanatory. If you’re quiet, or loud, this will control what is coming out of the headset. This is a great feature for anyone playing games late at night while others sleep. Before the writing of this article, I was able to play after my wife went to bed in the next room whereas normally I’d have to keep my mic muted and my mouth shut, no matter how many times I was killed. The mic monitor level allows you to set exactly how much of yourself you can hear in your headset. If you like to hear yourself, like I do, I set this rather high. I’m a television director in my other life and because of how our headsets are set up, I always hear myself speak. It’s something I’ve gotten used to and using headsets that don’t have mic monitoring always feel like something is missing. Once you’re used to hearing yourself in your headset, it’s hard to let go of. On the back of the T.A.C. 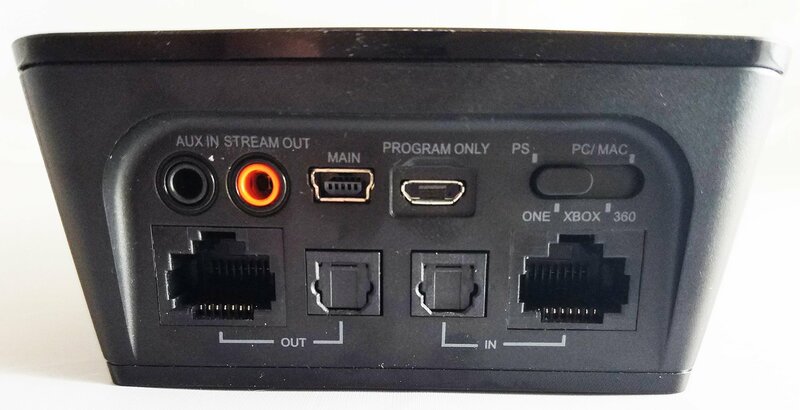 are many ports but I want to focus on two: The Aux in and ethernet ports. The Aux port allows you to plug in your phone so you can take calls and mix in music during your gameplay sessions. I normally use a Turtle Beach 800X headset and the main selling point for this wireless headset was the inclusion of Bluetooth. I keep my phone connected to the headset with Bluetooth because I like to listen more than game sounds and I need to hear my phone ring when my wife calls and I’m playing. While the Elite Pro doesn’t have Bluetooth, it does have these features through the inclusion of the Aux port. If you’re taking your Elite Pro and T.A.C. on the go to a LAN party, the ethernet port is going to be a killer feature for you. Other competing headset makers let you daisy-chain your mixamps together for team chat during LAN parties or competitions and the T.A.C. for the Elite Pro lets you do just that too. Connecting an ethernet cable between your T.A.C.’s creates a lag free voice chat party. The only issue being that if your clanmates have other headsets, this won’t work for you. The Elite Pro comes with a standard detachable boom microphone in the box, but you can also grab the noise-cancelling microphone as an add-on. I subjected my clanmates to many tests back and forth between the default boom mic and the noise-cancelling mic. There is a difference in audio quality and background noise, but it isn’t game breaking. If you play in a loud or crowded area, I’d definitely suggest picking one of these up, but if you’re playing in a quiet area like your man-cave on the weekends, this may be a pass. It’s a great accessory that does it’s job wonderfully, but not everyone will need it. One of the biggest reasons to get a headset is the hear the game world around you. 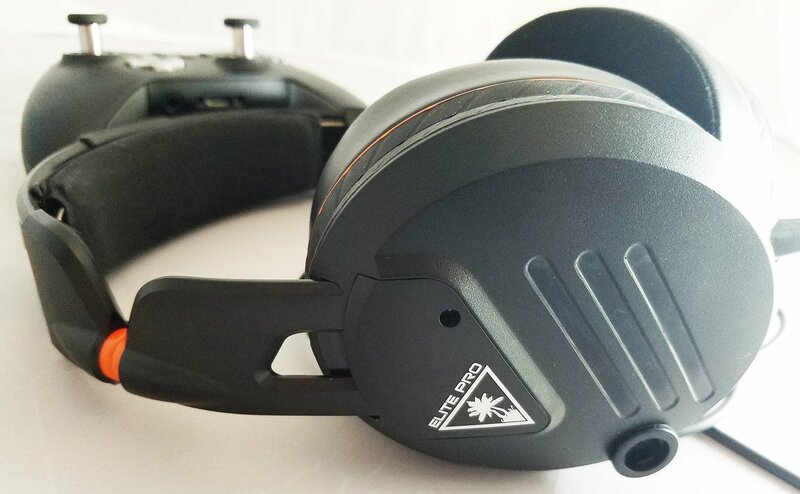 Turtle Beach has always been widely regarded as a company that puts out some of the best sounding headsets around and the Elite Pro is no exception, in fact, it may be the best sounding headset on the market. If you’re skipping the T.A.C., you’re plugging directly into your controller and getting stereo audio. There is a significant boost in audio quality with this headset over using television speakers or a home surround system. Even without the T.A.C., I can hear footsteps all around me. I know what’s coming and that’s a huge advantage. When you add in the T.A.C., it’s almost unfair to other players. The T.A.C. gives you 7.1 surround sound that lets you pinpoint exactly where an enemy is sneaking up on you from. There are also four presets to switch you in between game mode, movie mode, music mode and turning the surround off. In game mode, you can choose between Signature Sound, Shooter, Superhuman Hearing and Footstep Focus. Movie mode keeps Signature Sound as your first option and gives you Action, Horror, and Drama settings as well. Music Mode also starts with Signature Sound and adds in Stadium, Acoustic, and Dance modes as well. When you turn the Surround Sound off, you can select between Natural Sound focus, Bass Boost, Bass and Treble Booster and Vocal Booster modes. With these 16 choices, you’re going to find something for every occasion to make the audio coming into your headset sound perfect. So, this is an Android website. How exactly can you use this with your Android device? The answer is, much like any other headset with a 3.5mm jack. The headset comes with a standard 3.5mm adapter to connect your headset to your controller and that works for phones too. Plugging this into your phone is amazing for long conference calls or a long conversation with family. 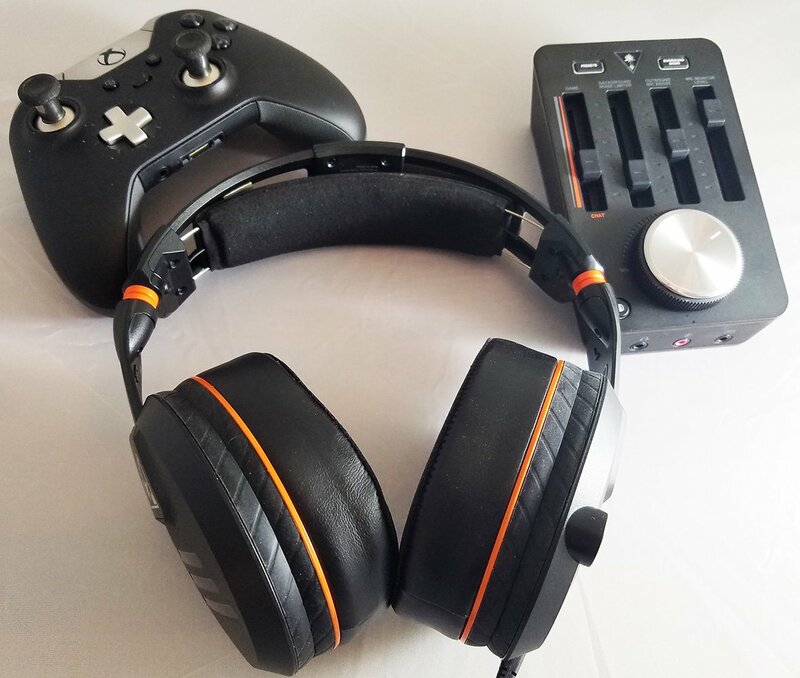 You sound excellent by using the boom microphone, the headset is very light so you can wear it for long periods and it opens up your hands to continue on with whatever you were doing previously. As I mentioned earlier, if you pick up the T.A.C., you can already have your phone plugged in and answer calls while you continue to play. There aren’t a ton of games on Android where you would need a headset, but for the few that are out there, this can’t hurt. It’s an ultra sensitive headset that puts out the best possible sound. Turtle Beach really has a winner on its hands here. I hope it catches on in the gaming community because I’d love to see more prosumer products like this one. The audio isn’t unmatched in the market, but it’s among the leaders and it does an excellent job in-game of informing you of what’s going on around you. Even just using the Elite Pro to listen to music is an awesome experience. I love kicking on the bass boost and scrolling through Monstercat’s extensive library. I can’t overstate how comfortable this headset actually is. Sure, you’re going to see plenty of marketing material that makes it seem amazing, but in real life situations, it really holds up. After numerous hours, the pads still feel comfortable on the sides of my head and due to the fact it’s so light, I have zero neck fatigue. If you’re interested in grabbing the Turtle Beach Elite Pro headset, you can grab it for $199 from Best Buy, Gamestop, or Amazon. 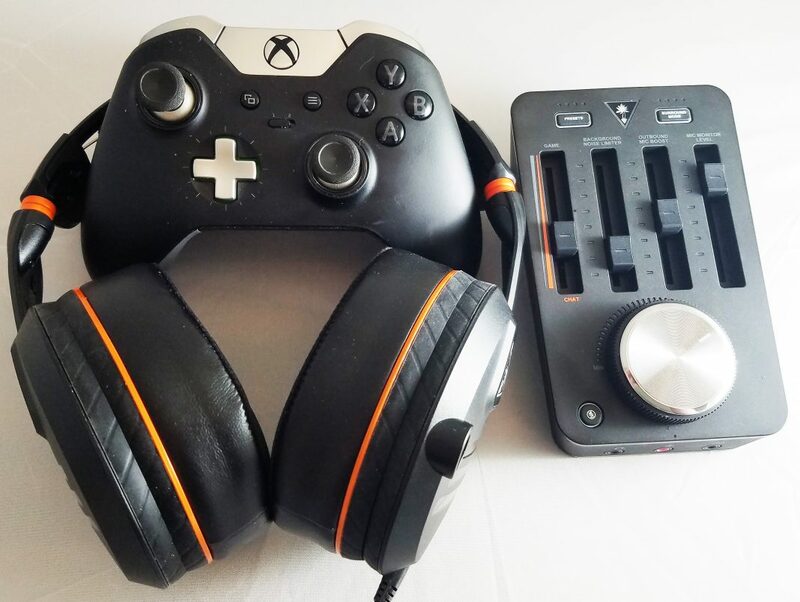 It’s compatible with Xbox One, PS4, PC and pretty much anything with an aux jack. The Turtle Beach Elite Pro headset is an absolute must-buy if you're looking for a quality headset. The in-game audio is unbelievable and it has a ton of add-on accessories that you can buy to up your game. The add-ons can be a bit pricey (the T.A.C. is $200) but you don't need them to have an excellent experience. The headset is comfortable and built well. It get's my full recommendation.